SAN RAFAEL, Calif., Aug. 12, 2016 /PRNewswire-USNewswire/ — The California Alcohol Policy Alliance held simultaneous demonstrations in two California cities today to ask Governor Brown to veto AB 1322 (the DryBAR bill). The irresponsible legislation would allow California’s 42,000+ barbershops and beauty parlors to give away alcohol without cost, licenses, permits, monitoring, Responsible Beverage Service training, or enforcement of any current regulations. 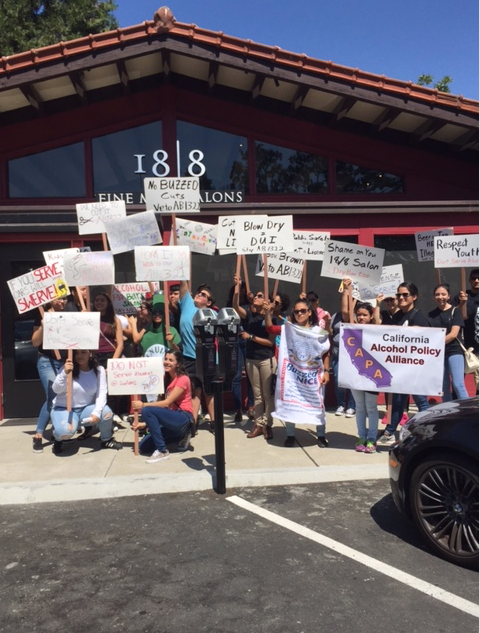 Members of the California Alcohol Policy Alliance – Adults and youth concerned with public health and safety and committed to reducing alcohol-related harm, demonstrated briefly in front of the Drybar Brentwood, in Los Angeles, and the 18/8 Fine Men’s Salons in Lafayette, CA. Both corporations are on record as the only supporters of AB 1322. The bill is authored by Assembly member Tom Daily from Anaheim, the home of Drybar’s corporate headquarters in California. California now suffers more than $22 billion in alcohol-related harm and 10,000 alcohol-related deaths annually. Alcohol Justice has estimated that if AB 1322 becomes law, the number of venues allowed to serve alcohol in the state will increase by 41%. Additional alcohol-related harm is inevitable with increased availability, especially when there is no license required and no enforcement of current alcohol regulations. 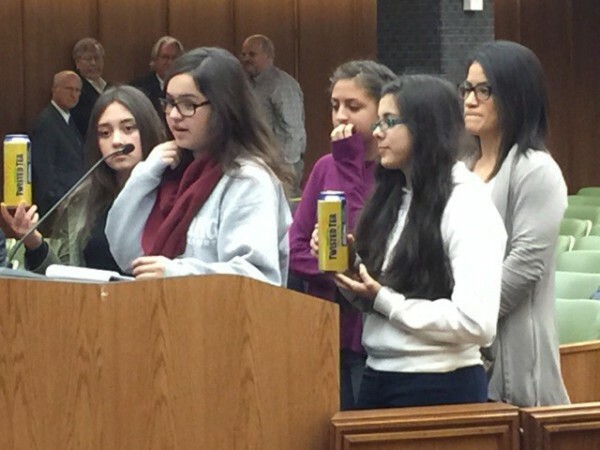 “A lot of kids come to barbershops and salons and this bill will allow easy access and it’s a bad example,” said Dayana Nunez, 15, Bay Point, CA. “Managers are not trained. They don’t have their licenses and they could get into trouble.” Brenda Briseno,10, 5th grade student. 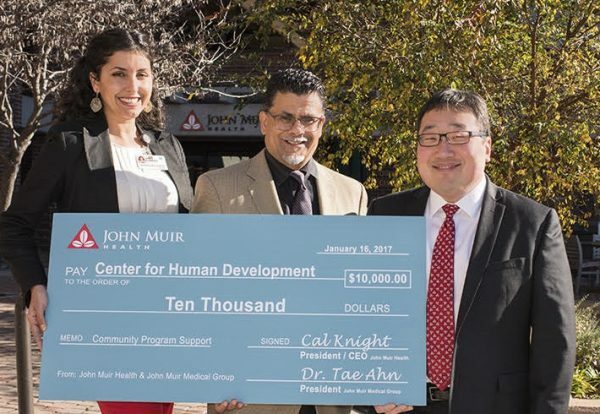 The public is encouraged to take action at AlcoholJustice.org to tell legislators and Governor Brown to stop subsidizing alcohol-related harm by relaxing regulations. Instead, they should protect public health and safety and reduce alcohol-related harm in California by stopping AB 1322. Alcohol must never be served in a California retail or service establishment without a license.